Hope you’ve got some time cleared on your schedule. 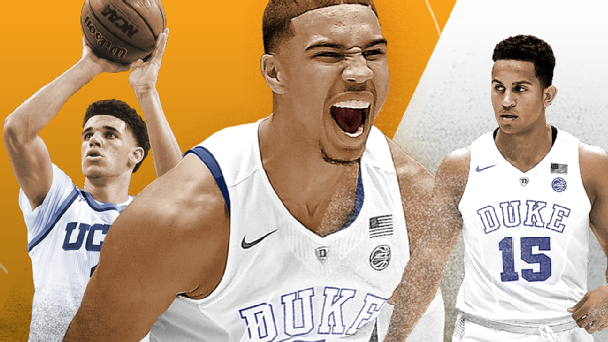 The ninth annual College Hoops Tip-Off Marathon is here with a 24-hour smorgasbord of basketball to devour: 11 men’s games, and women’s games featuring No. 3 Connecticut at No. 12 Florida State and No. 8 Texas at No. 11 Stanford. It is the Year of the Freshmen in college basketball. It's time to learn all about them. • Freshmen orientation: Best class ever? • Is it really the best ever? When the marathon ends with Oregon at Baylor, the fun is just beginning. The Champions Classic on Tuesday features No. 1 Duke against No. 3 Kansas and No. 2 Kentucky against No. 13 Michigan State. Keep in mind this is one marathon where everyone can claim victory. Just being able to finish watching every game is worthy of a participation medal. Bonus picks: Though technically not part of the marathon, the Champions Classic games on Tuesday are too good not to weigh in on.